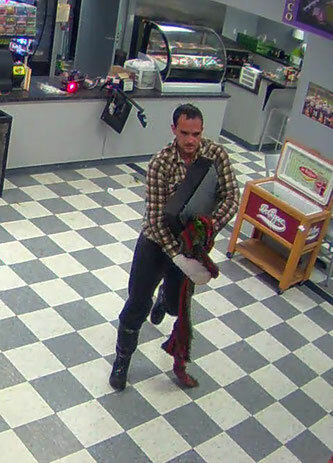 Earlier this morning at approximately 2:10 a.m., the Calcasieu Parish Sheriff’s Office received a call from a local convenience store on Hwy 171 in Moss Bluff in reference to a robbery. The preliminary investigation revealed the suspect entered the store and was able to steal the cash register drawer, which contained an undisclosed amount of money. The suspect, who is described as a tall, white man with dark colored hair, fled the store on foot. If anyone has any information regarding this robbery or can identify the suspect seen in the photograph or video, please call the Calcasieu Parish Sheriff’s Office at 491-3605 or Crimestoppers at 439-2222.